An Oregon native and graduate of Stanford University, Jen joins the Valli team with a depth of international winemaking experience including in the USA, France, South Africa and Australia. She has completed 15 harvests in NZ and is approaching 28 vintages overall. Here in Otago, Jen was the head winemaker for Olssens (which went on to become Terra Sancta), from 2009 till 2014. Her wines regularly grace the pages of wine and food magazines, often making Top 10 lists. 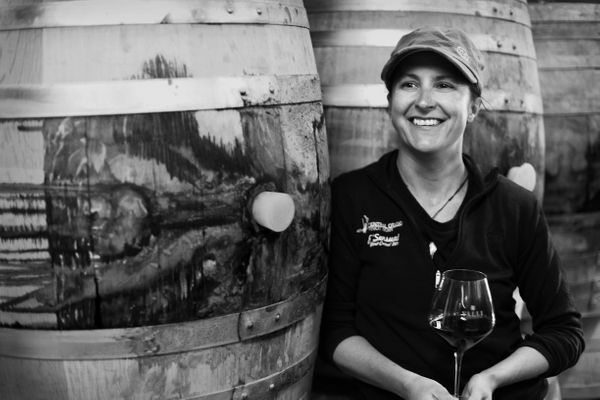 In recent years, Jen received 5 Trophies for Pinot Noir and Pinot Noir Rosé including ‘Champion Wine of Show’ in 2012 where she was the first winemaker to receive the ‘Champion Winemaker Award’ at the prestigious New Zealand International Wine Show. Beyond her commitment to making consistent, top quality, site expressive wines, Jen is very open-minded and inquisitive, putting her at the forefront of innovation and experimentation with skin contact Pinot Gris, fermentation techniques and earlier picking to preserve freshness and restrain alcohol. Jen loves to share her tremendous passion for wine and winemaking, teaching others about wine and its endless potential for enjoyment. She is an accomplished Wine Judge and is very active in the local wine industry, having served twice as the Chairperson for our Central Otago Pinot Noir Celebration. When tempted by winemaking jobs further afield, she realised that her heart is here in Central Otago and in 2015 was delighted to join forces with one of her favourite winemakers, Grant Taylor, to help craft what she believes to be New Zealand’s most exciting Pinot Noirs: Valli.